PLM Design. PLEC: Folding kitchen trolley with wheels, consisting of a top and bottom shelf and a grid intermediate shelf, all made ​​of metal coated steel or rustic color. Measures 70x40x70 cm in open position and 70x7x89.5cm in closed position. 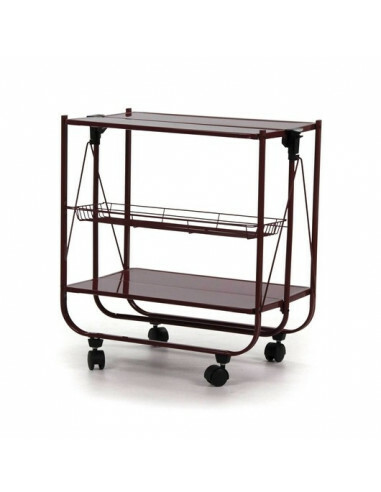 PLEC: Folding kitchen trolley with wheels, consisting of a top and bottom shelf and a grid intermediate shelf, all made ​​of steel in aluminium color or rustic color. Measures 70x40x70 cm in open position and 70x7x89.5cm in closed position.